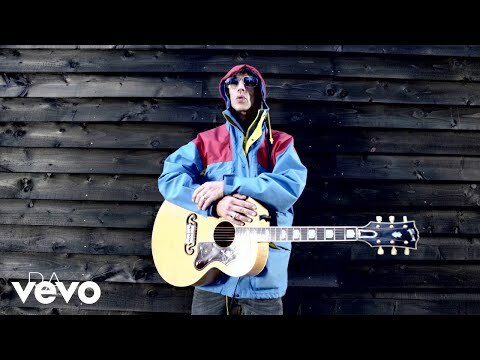 Liam Gallagher has spoken positively of Richard Ashcroft's new solo track following the announcement of The Verve frontman's forthcoming new album. Ashcroft will release his fourth solo album These People on May 20, today revealing his new track "This Is How It Feels." Oasis singer Gallagher has since taken to Twitter to say that it's "good to hear" Ashcroft again after a six year absence. "New tune sounding good," Gallagher added. As previously reported, Ashcroft describes his new LP in a cryptic statement as concerning "some personal and world events [taking] a dark turn leading to a sense of urgency and a clearing of the mind." The album, his first since 2010's United Nations Of Sound, was recorded largely in Ashcroft’s basement home studio and features orchestration from Wil Malone, who worked with Richard on The Verve’s A Northern Soul and the ten million-selling Urban Hymns as well as his 2000 debut solo album Alone With Everybody. The album tackles topics such as the war in Syria, the Arab Spring uprisings and the death of a close friend because, as Ashcroft’s statement reads, "to do nothing would be a crime in this sick nihilistic age of war". The singer also claimed he had been "experimenting with old and new equipment trying to find new textures and sounds to accompany an ancient art" and credited last year’s spate of acoustic shows in Mexico, Zurich and Bilbao for helping him realize "my lane in the chaos becomes clearer – to be a modern day troubadour". Ashcroft told NME: "Over the period I wrote this we've lived through incredible times. Highly contentious wars were going into the pot. There were grassroots movements that were then turning into semi-revolutions, there was Tahrir Square. There was everything kicking off all over the globe, people being divided. Pepper spray everywhere, tear gas... We’re in a very nihilistic age, we’re in death-ridden, world war times and I like to reflect the society we’re in but I also wanna possibly project something that gives us a sense of hope."